¡MAYDAY! – ‘Thrift Store Halos’ Climbing The iTunes Charts! 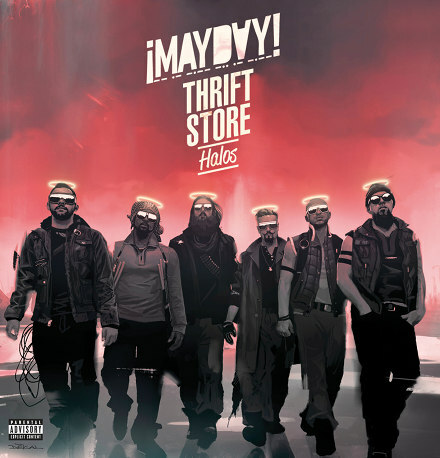 ¡MAYDAY!’s Thrift Store Halos is quickly climbing the ranks on the iTunes albums charts! Thrift Store Halos has shot up the ranks placing itself at the #3 position on the Hip Hop Albums charts on iTunes, ranking behind only Rick Ross’ God Forgives, I Don’t and Nas’ Life Is Good, two of the most heavily-anticipated albums of the year. Let’s show the majors what independent power is all about and get Thrift Store Halos to the top spot! Click here to purchase Thrift Store Halos on iTunes.